It’s Halloween and I’d be amiss if I didn’t offer up some of my Halloween scares for you to enjoy this all hallows eve. 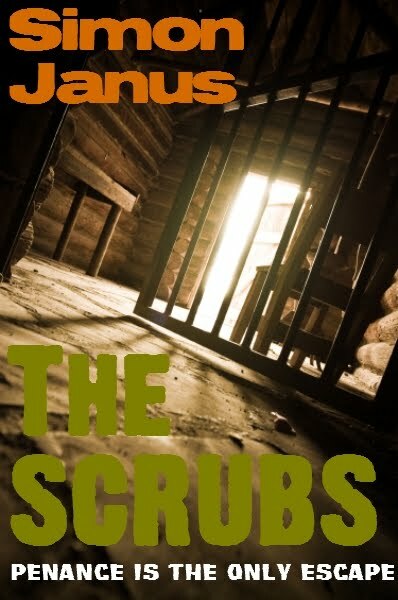 In THE SCRUBS, James Jeter, the notorious serial killer with a sixth sense, holds court inside London’s Wormwood Scrubs Prison. He’s the focus of the “North Wing Project.” Under the influence of a hallucinogen, Jeter can create an alternative world known as “The Rift” containing the souls of his victims. 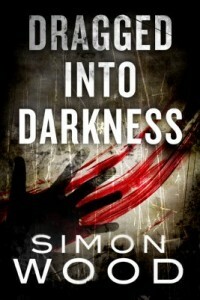 In DRAGGED INTO DARKNESS, people spend their entire lives staving off the dark — but no matter the measures taken, black paths and shadowy pits lurk in the unlikeliest of places, waiting to pull the unwary into the depths of despair. These eleven tales offer a morbid sampling of the many forms and fashions of terror — from the subtle prickling of neck hairs at the kiss of a ghostly breeze to the raw-throated screams and feverish clawing of a desperate fight for survival. Witness eleven people torn from their ordinary lives and cast into twisted realities that test their sanity, faith, and very will to live… A pilot must land a crippled aircraft on an impossible runway… A doctor feels far too much sympathy for his deformed patients… A schoolgirl’s secret contract could cost her mother’s soul… A woman whose pack rat obsessions hide the obscene… For these and seven others, the darkness comes from within and without, subtle, deadly…and relentless. In ROAD RASH, Straley might think his life is cursed, but it doesn’t compare to what lies ahead of him on life’s highway. He’s on the run with the proceeds of a botched bank robbery. It’s all he has. His crew is dead and his getaway car just died on him. He’s on foot with the cash when he comes across a two-car pileup. There’s no saving the drivers, but he can save himself and steals one of the wrecked cars. But he boosts the wrong set of wheels. Within an hour of driving off, he develops a rash that eats away at his flesh. No doctor can help him–only the car’s original owner. If Straley wants his skin back, he must journey on the road to redemption, which ends in the heart of Central America. Hello, neighbors. You’re all invited to the Golden Elm Lane Block Party! Welcome to Golden Elm Lane. It’s just like any other small-town street…or is it? 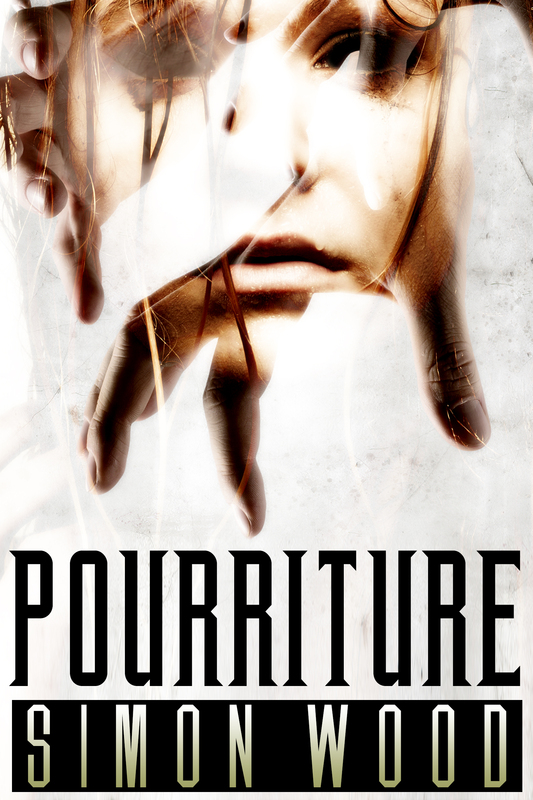 Horrible things happen on Golden Elm Lane…vile, monstrous, evil things. Serial killers, ghosts, and monsters of all kinds hide behind the walls lining Golden Elm Lane. Each house tells a story…a horrifying story. And now, for the first time ever, fourteen masters of horror will give you a bloody tour of Golden Elm Lane and bring it to full, terrifying life. 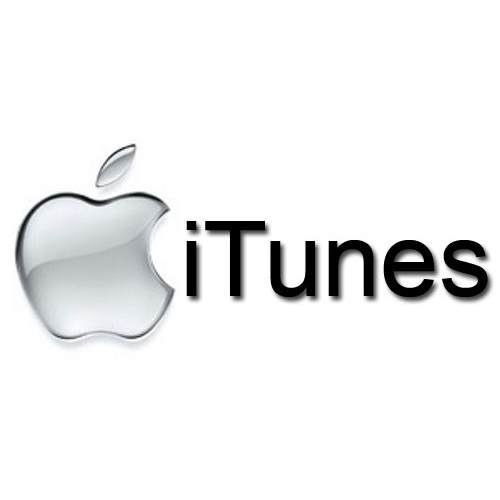 The collection features my story UNTIL IT HURTS, which is about a homeless man who comes to Golden Elm Lane for a job. 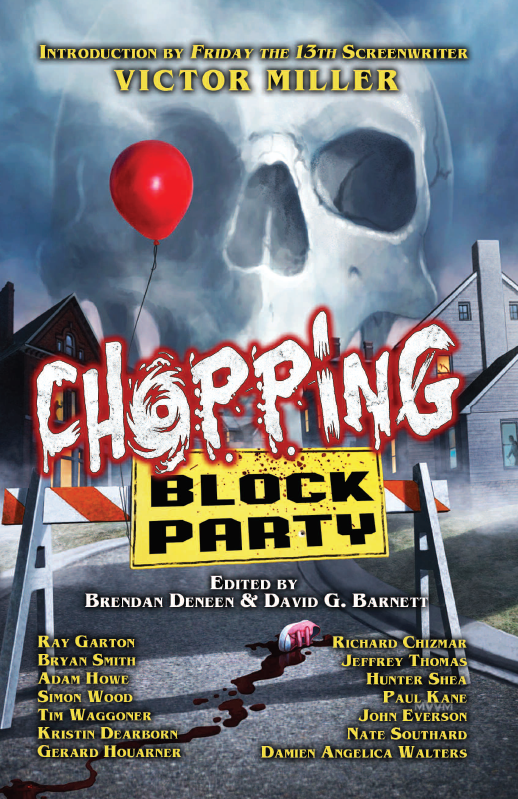 With an introduction by the legendary creator of Jason Voorhees and the Friday the 13th franchise, Victor Miller, you’ll find it difficult to turn down an invitation to attend our…CHOPPING BLOCK PARTY. You can pick it up here: The Publisher & Amazon. 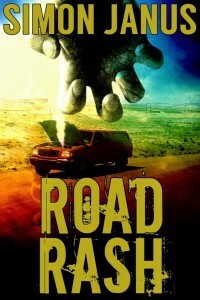 ROAD RASH plays to my two storytelling loves—crime and the supernatural. I don’t do it often, but I love to blend the genres. It’s the story of bank robber, James Straley. He might think his life is cursed, but it doesn’t compare to what lies ahead of him on life’s highway. He’s on the run with the proceeds of a botched bank robbery. It’s all he has. His crew is dead and his getaway car just died on him. He’s on foot with the cash when he comes across a two-car pileup. There’s no saving the drivers, but he saves himself by stealing one of the wrecked cars. Unfortunately, he boosts the wrong set of wheels. Within an hour of driving off, he develops a rash that eats away at his flesh. No doctor can help him—only the car’s original owner. 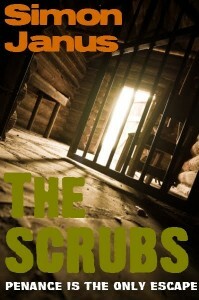 If Straley wants his skin back, he must journey on the road to redemption. The book started out as a short story and was one of a number of stories I’d been writing with the theme of road travel. I’d been examining the whole aspect of road travel by writing stories that ranged from cars to bicycles, from traffic offenses to road regulations and everything in between. I used these stories to put a dark twist on an aspect of our lives we take for granted. Road Rash was one of a number of tales I’d written based on turning a common term on its head. I liked the idea of road rash being something that could be contracted from the roads if someone wasn’t careful. I submitted the story to an anthology and the editor loved the story, but said it needed to be a book and an exotic twist would knock it out of the park. When it came to the exotic twist, I knew just what to use. I’m quite an empirical person. I like to write about things I understand, things I’ve actually taken part in or things I have some experience with. So, I hoard experiences to the point of going out of my way to take part in things whether I need them for a story at the particular moment or not. So naturally, when someone offered my wife and I the chance to attend a Santeria ritual while we were traveling in Guatemala, I jumped at the chance. I don’t think I could have made this up if I tried, it was that wonderful and spooky. The community that practiced Santeria lived in the shadow of three volcanoes and a lake isolated them from the mainland. The only way of getting to them was by boat. We took a trip out to the island, which amounted to a shantytown. People selling handicrafts covered the jetty where we landed. A kid no more than eight said he knew why we’d come to the village and for a buck he’d take us to the witch. He led us through the dirt-covered streets and down an alley into an unfinished cinder block room. An effigy sat in a chair with a cigarette drooping from its lips and a trail of smoke leaking skyward. All sorts of knickknacks and trinkets surrounded it. A woman as old as time shuffled around in an adjoining room. A young woman asked us to sit on the floor and take part in some unknown ceremony. It goes without saying that it was more than a tad creepy and our nerves didn’t hold out, so we got the hell out of Dodge before something happened. I’m as superstitious as the next person. The imagery was very potent and the incident stuck with me and dovetailed nicely into the exotic element the editor wanted for Road Rash. I don’t pretend to understand half what I witnessed, but the incident inspired me to develop a great backdrop for James Straley when he’s forced to travel to Guatemala. It gave the story a whole new different dimension. James Straley wasn’t as fortunate as my wife and I, as he had stay for the ritual. The experience changes his life forever and hopefully it’ll change yours too when you read it. British horror author James Herbert died the other week, age 69. 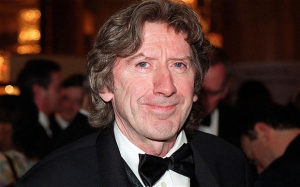 His death saddened me as he’s one of my writing heroes. 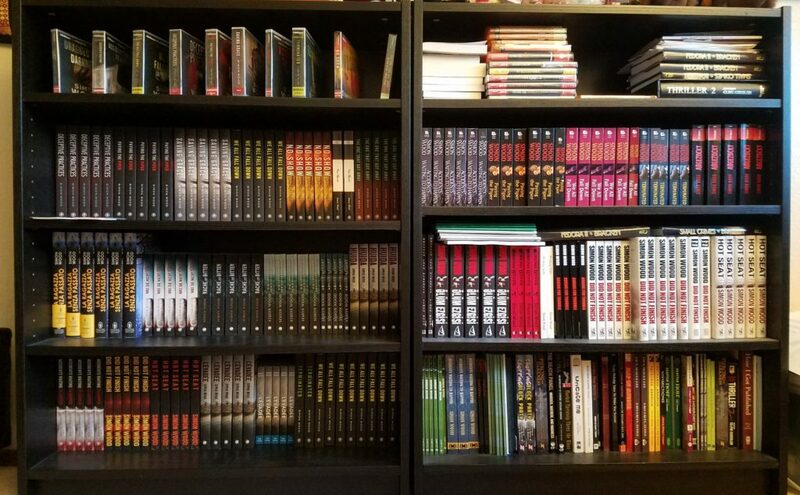 I never thought I’d ever write myself when I discovered his books as genre obsessed twelve-year-old, but when I decided to write fifteen years ago, his books were one of a half a dozen authors’ work I studied. His breakout book was his first—THE RATS. It was about oversized rats eating their way across London and the Home Counties. Like a lot of successful writers, he struck upon something that hit the public consciousness. Giant rats in England were a problem in the mid-70’s when the book came out. 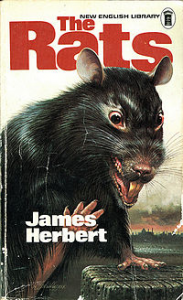 Not as quite as big as those mentioned in the book, I remember as a six-year-old there being all these rats as big as small cats invading our neighborhood from the wood that backed onto our home. They ate through large sections of our back fence and I wasn’t allowed to play in the garden when they appeared. My mum and I (with mouth agape) one Saturday watched from the back window of the house as these big grey blobs squeezed through the holes they made in the fence and roamed our garden in search of food. No wonder I discovered my love of horror movies shortly after and that Herbert’s book was a bestseller in Britain throughout the 70’s and 80’s. I didn’t discover his books until I bought one on a Boy Scouts trip. Something about a lurid cover featuring a blood splattered rat with yellow teeth jumping out at me appealed for some reason. I tore through this book which made me an instant fan. A few weeks later, I started high school and my English teacher let us read anything we liked as long as we could comment on its merits. This was my opportunity to go through his entire back catalogue. God knew what my teacher thought of me at the time, but she always gave me good grades. Fast forward a couple of decades and he was my go to author when it came to studying style and construction. The reason I liked James Herbert’s work was his simple yet affective storytelling style. 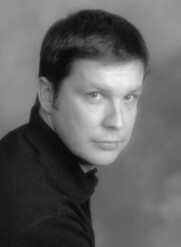 He wrote usually in third person and had a unique way of featuring “red shirt” point of view characters in the form of vignettes to help illustrate the story. But the thing I liked the most about his writing was his larger than life stories that were pulp heaven (and something I’ve been accused of from time to time…much to my pleasure). I got lost in his tales of Nazi talismans, toxic fog and vengeful ghosts. Each one was sheer reading bliss. If you look hard enough I’ve cribbed a few things from Herbert’s books, usually in the form character names. I’ve yet to write a full length horror novel but when I do, it will be influenced by Herbert’s work. Hey, it must be my birthday! Well, actually it is in a couple weeks, but that’s not important right now. 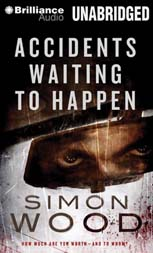 The important thing is that Amazon has named ACCIDENTS WAITING TO HAPPEN & DRAGGED INTO DARKNESS in their 100 Hundred Books for April. It’s an interesting pairing as ACCIDENTS WAITING TO HAPPEN was my first book & DRAGGED INTO DARKNESS was my first short story collection. So it’s quite nostalgic to see these books back in the limelight. Anyway, to the meat of the subject. 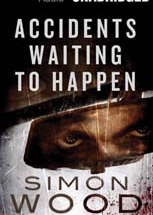 Both books have promotion pricing, but ACCIDENTS WAITING TO HAPPEN ebook is only 99cents this month. Hopefully that’s whetted your appetite. Josh Michaels isn’t wanted dead or alive—just dead. That fact becomes shockingly clear when a stranger runs his car off the road. Instead of a helping hand, the man gives Josh a “thumbs down” and abandons him to what is almost certainly a watery grave. Luckily, Josh cheats death…this time. But when more harrowing “accidents” threaten his life, it’s clear he’s a marked man. Are his past mistakes coming back to bite him? Or is something more sinister afoot? And how can he convince his family, friends, and especially the cops that he’s in danger? The harder Josh fights to stay alive, the more determined his unknown enemy is to see him dead. And the deeper he digs for answers, the more chilling the truth becomes. As his time and luck rapidly run out, he must unmask an insidious conspiracy bent on making a killing—in more ways than one. Nerve-jangling noir doesn’t get much blacker than Simon Wood’s top speed trip into cold-blooded murder and hot-blooded vengeance.